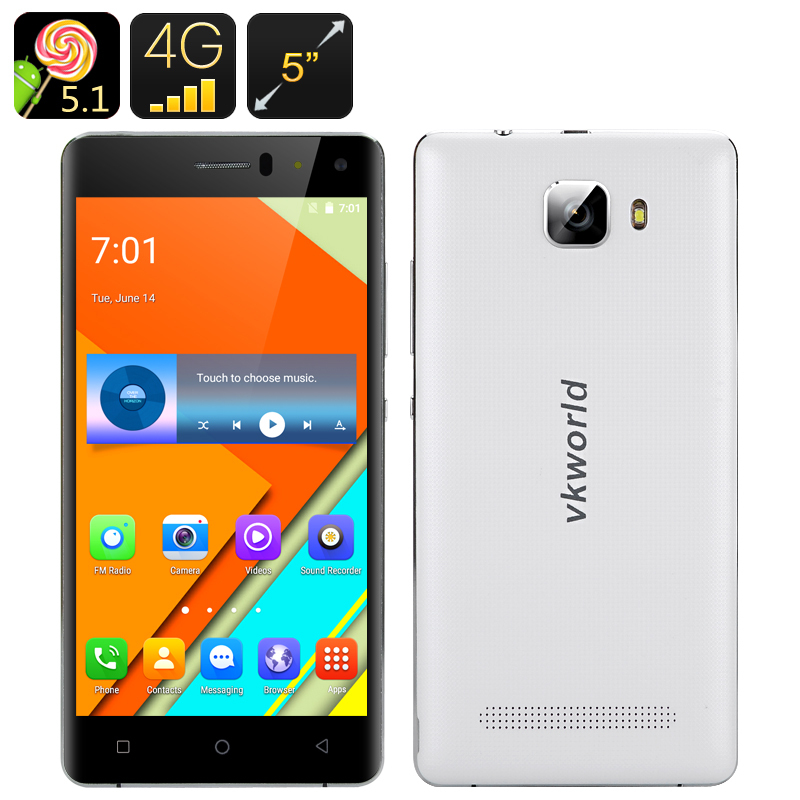 Successfully Added VKWorld T3 Smartphone - 5 Inch HD screen, MTK6735, 2GB RAM, 16GB ROM, Android 5.1, 4G (White) to your Shopping Cart. This large screen smartphone is perfect for anyone wanting a reliable Android phone without the paying the huge prices that high end brands demand. The 5 inch HD touch screen is neither too large nor too small, this phone is ideal for watching videos and other media content as well as playing games. It feels just as smooth as the more expensive Smartphones thanks to a well worked design incormporating a metal fram and sweeping corners with sloped glass and narrow bezels. Having an Android 5.1 operating system ensures that this Android phone has an extremely user friendly system and with Smart Wake on hand the VK World T3 will let you get instant access to the most common apps right from the locked screen saving you time and effort with daily tasks. When it comes to usage, you will be surprised to learn that the VK world T3 smartphone has a MTK6735P Quad Core CPU that will present a performance that is sure to satisfy. Games and apps will run smoothly on this quad core phone without missing a beat and the T3’s Mali-T720 GPU unit is the next gen of graphics cards. Its efficiency allows it to run videos and games while draining less battery. At the same time it increases image quality and is more compact and lighter than previous generations of GPUs so your getting more for less with this inginuouse smartphone. It has an efficent 2500mAh battery that brings suprisingly good talk and usage times. Thanks to 16GB of internal storage space thers plenty of room for all your photos, games and apps galor. should you requier more space it wont be a problem with micro SD carfds up to 64GB in size supported. 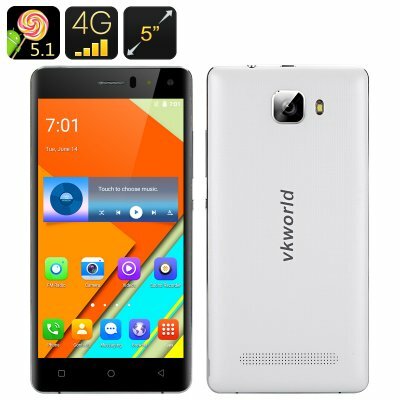 This VKWorld T3 Smartphonecomes with a 12 months warranty, brought to you by the leader in electronic devices as well as wholesale Android Smartphones..